1. XM: Hi George, as a drumming teacher I expect you’ve played electronic drum kits before? 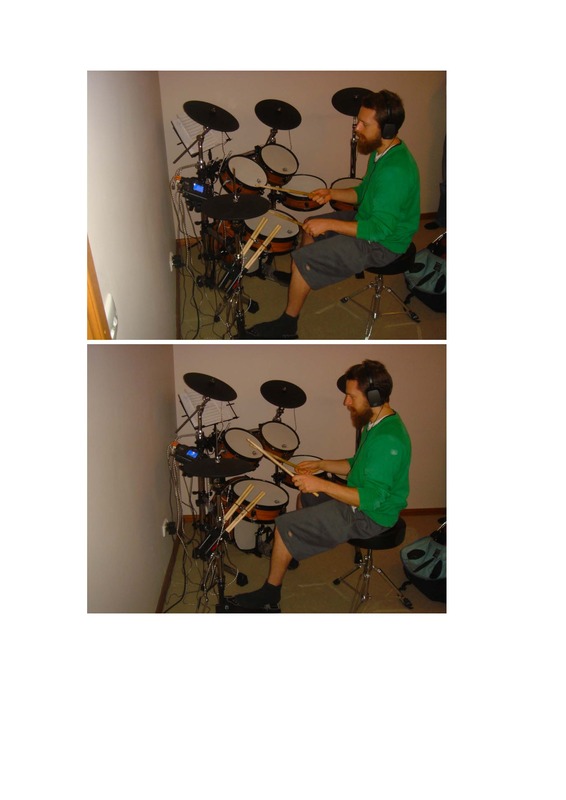 George Weis: Yes, I own a Roland TD-4 kit. 2. XM: Today you played the XM Classy Series C-Plus-9SR eDrum kit. How did you think it compared with your Roland kit in terms of look, feel and sound? George Weis: Put simply, it went above and beyond on all fronts. First of all, it looks very cool; I like the realistic looking drum shells. Secondly, I could really hear the accents when I was playing, which I’ve never experienced before on a digital kit. I also like the drumhead skin’s feedback, and am very impressed by the rim-shot functionality. 3. XM: What do you think about this kit’s sensitivity? The sound of your hits also alters depending on how hard you hit the skin. George Weis: I’d like to play around more with the trigger’s tone settings, as I like the idea of changing sound when you hit softly or hard, as opposed to just the usual change in volume. 4. XM: You can adjust the tuning of your cymbals and drums. Would you use this function? George Weis: The module has a MIDI Out jack, so I could see changing keys as being a very good option when making recordings. I also saw a line out port, which I’d use to go DI into live PA systems. 5. XM: This Classy Series eDrum kit comes with 8 built-in drum kit sounds you can mix and match for each drum’s triggers. How was your experience with these? George Weis: They were cool. I quickly stumbled upon different sounds like cowbells and D.J. scratches. The ‘Effect’ kit sounded great for Drum and Bass techno drumming. 6. XM: This kit can work together with programs like Easy Drummer, Pro Tools and Ableton, via a USB and laptop. Your thoughts? George Weis: This would be great for bedroom recordings, both pre and post-production. 7. XM: You can download WAVE files of any sound you like, and download more drum sounds online via the special XM driver file for samples. What could you see you or your students doing with these? George Weis: It would help practicing in general, especially as you could use your own favourite sounds. I’d also love to record different fun kits to play on. 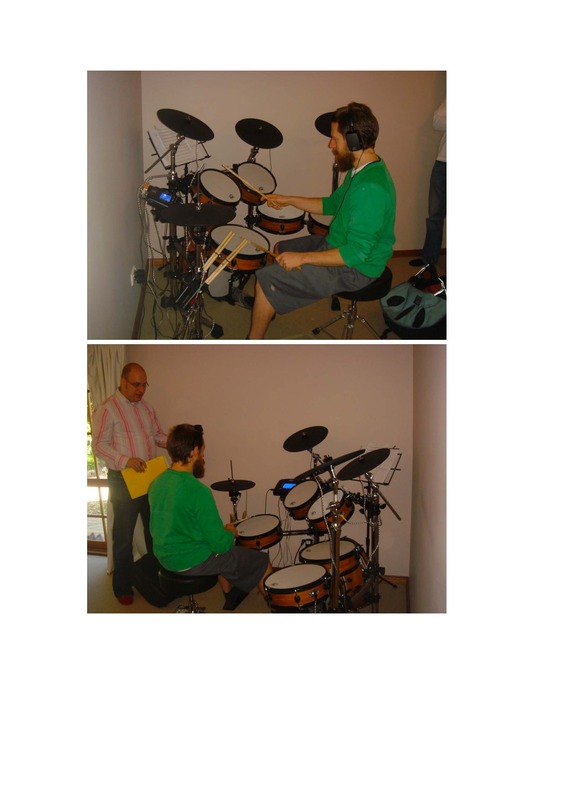 The feel and sensitivity are very good, so students could truly learn about drumming. I usually tell kids not to learn on rubber pad eDrum kits, as they’d miss out on many subtleties within drumming. Here they wouldn’t miss out on anything. 8. XM: Each drum has 3 triggered sounds: Hoop, drumhead and rim shot. Many eDrums on the market only have 1. You can program each of these triggers individually. What would you do with this functionality? George Weis: I think this would be great for live performances. I’d have an extra digital drum with 3 sounds integrated into the rest of my acoustic kit. I might even get one of those XM Evolution eDrum Skins so I could use the drum both acoustically and electronically. 9. XM: Each cymbal has 4 triggered sounds: bell, surface, edge and choke. You can program them individually. How would you use them? George Weis: I’d use them as I would normal cymbals. However, I could also imagine boosting the volume on one of the cymbal’s triggers (and turn the other two down) to simplify things if there was a song where I only needed a single sound from that cymbal. 10. XM: You can plug your MP3 player into the module via a CD-input (phone-in, phone-out jacks). Would you use this to play along with your favourite tunes? You don’t even need a laptop. George Weis: Definitely! Playing along to popular songs you like is a great way for drumming students to learn. 11. XM: How do the drums actually feel? George Weis: As I said previously, the response when you hit the drumhead is very nice. I need to learn how to program the sensitivity levels. Both drum speed and touch felt very natural. I also think it would be easy to program some drum skins (or drum kits) to sound ‘dead’. 12. XM: What do you think of the hi-hats? It is very difficult to replicate real metal cymbals. The XM hi-hats offer Surface, Bell and Choke sounds, as well as 4 adjustable positions. You can also do foot splashes. George Weis: I like the hi-hats a lot. I just need to learn about how to adjust the sensitivity. The foot action is great. 13. XM: What did you think of the loudness and clarity of the foldback speaker? George Weis: You can tell it was built for attack. I usually play with headphones on at home, but it sounded really good. 14. XM: There is 128Mb storage in the module. Do you think this is enough for you? George Weis: It’s obvious that this is not enough space to hold everything, but I’m sure it would be fine if you have another device or computer attached. 15. XM: You get Midi-in and Midi-out, which essentially makes the kit a full MIDI interface. What do you think? George Weis: It’s great. It would be really handy for recording, as you could adapt fills and move your beats around. 16. XM: There is a maximum of 14 inputs, with auxiliaries for extra drums or cymbals. Is this enough? George Weis: Yep, definitely. I usually play a 4-piece kit! 17. XM: The metronome function does time signatures of 1/4 up to 6/4. You can adjust the tempo and the beat. What do you think? George Weis: This would be very good for teaching. I’d also use it on my own songs, and to create new drumming patterns. I like old drum signatures. 18. XM: The Tempo beats run from 30bpm to 250bpm. What do you think about these speed limitations? George Weis: It’s enough. I’ve only ever practiced below 30bpm a couple of times in my life. If I had to I’d just work to the next subdivision, using quavers and then semi-quavers. 19. XM: What do you think about the XM Drum Recorder program, which automatically shows you the beat you just played in notation form? George Weis: This sounds very cool. I think it would be very helpful for teaching, recording and arranging. 20. XM: Some drummers have said they would like to play along to their own drum loops. The 9S module’s loops can play for up to six seconds. George Weis: Six seconds is long enough. I can imagine this function being very cool for live performances, as you could mix samples into your songs. 21. XM: You can change sounds on the go with the intuitive interface that shows a picture of the drum kit configuration you’ve programmed. All you have to do is hit the drum 3 times to rotate the drum function. What do you think? George Weis: It would be good for practice, but it might be hard to use live. The three hits that change the sound would need to be completely muted. 22. XM: What do you think of the XM Rock Steady Bass Drum System and its special brace bar that holds the bass drum? George Weis: The bass drum felt great! I’ve never kicked a digital bass drum that felt this good. 23. XM: XM noise cancelling headphones. Would you use these? George Weis: At home I usually play with headphones, as it means I don’t hurt my housemates’ or neighbours’ ears. I currently have a 10:00pm drumming curfew. If I played my acoustic kit it would be 6:00pm. These headphones would be great for students, teachers and performers. 24. XM: What do you think of the XM Learning machine? 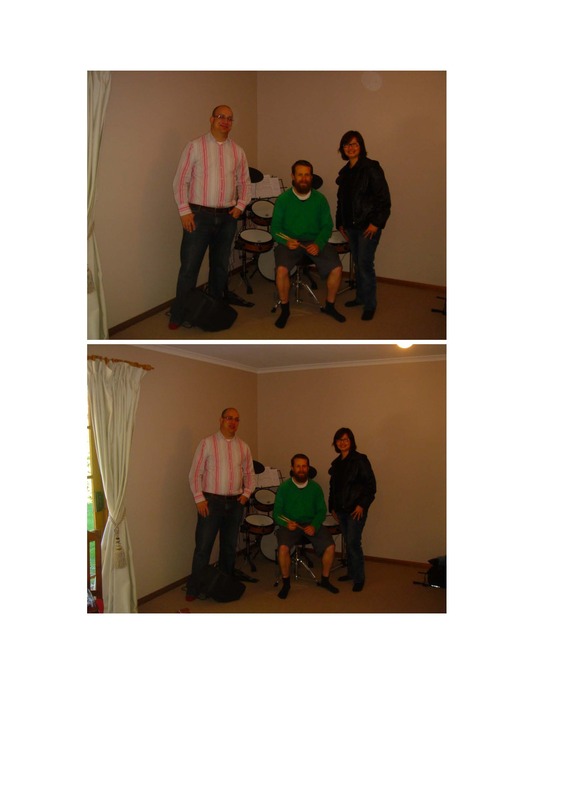 George Weis: As a drumming tutorial device it would be very helpful. A lot of other digital drum tutors are over-simplistic in construction. This one sounds very useful. 25. XM: This doesn’t relate to your experience with the Classy Series C-Plus-9SR EDrum kit, but what do you think about the concept of the XM Evolution Meshhead EDrum Skin? You sounded interested. George Weis: Having one or two of these drumhead skins on a normal acoustic kit set-up to play triggered sounds of any type I like would be very fun. It would also be good for my drumming students, as they could put the skins onto their acoustic kit at home, and then quietly play digitally without needing to buy a whole second eDrum kit. It’s sweet. Thanks for the experience XM. It was really fun!